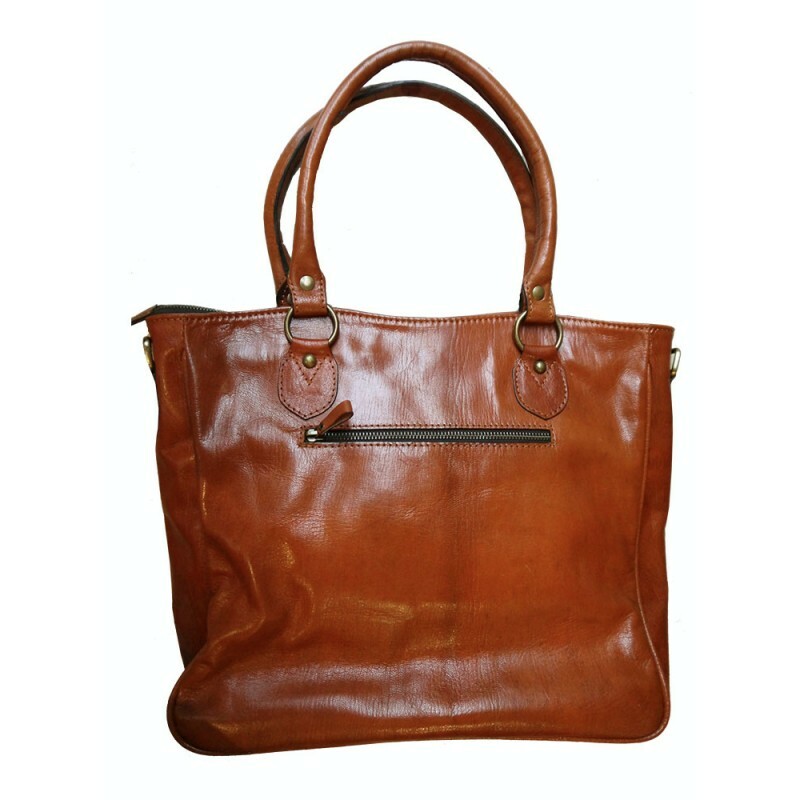 From our premium leather range, this tote bag is spacious and versatile, being suitable for the office as well as a day out shopping. It comes with an additional adjustable shoulder strap. 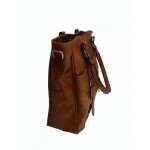 The main compartment is divided in two by a large zipped fabric pocket. There is another zipped pocket within the fabric lining. 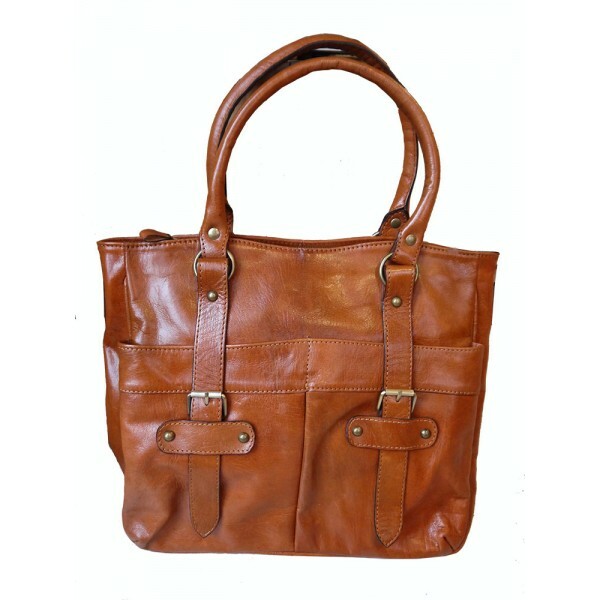 The back of the bag also has a zipped compartment, and on the front there are two large leather pockets. 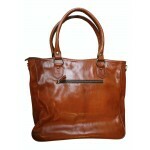 The bag is fully lined with a soft microfibre fabric. Dimension: Width 36cm Height 33cm Depth 13cm at the base approx. Hand cut, machine stitched and finished, these bags are made for us in a small workshop in Tangier, Morocco, using organically tanned leather, dyed using vegetable dyes.